If you’re 18 or under and want a say in the decisions that affect your lives then the H&F Youth Council wants to hear from you. H&F’s Youth Mayor Fede Dal Brollo and deputy Maddy Sala, plus the borough’s Member of Youth Parliament Emma Ghanem, have made this short video about what they do and how you can get involved. “If you’re a young person you might think that no-one is listening to you but that’s not true, your voice really matters,” said H&F Youth Mayor Fede Dal Brollo. 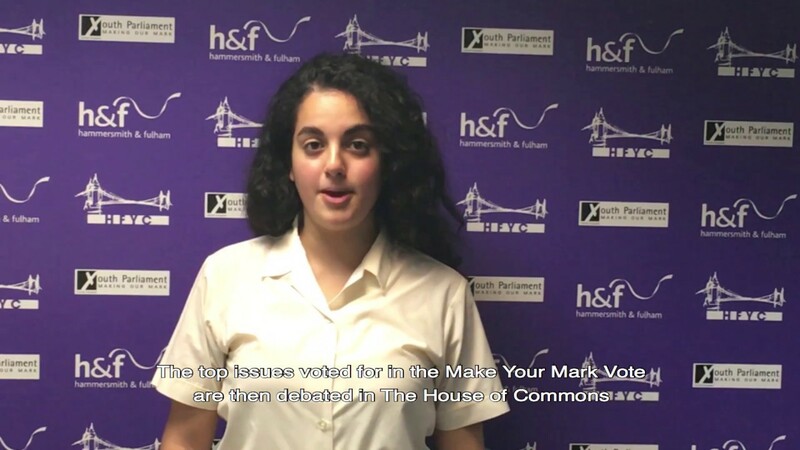 H&F’s Youth Council drew up its manifesto based on the annual Make Your Mark vote where young people across H&F get to choose the issues that are most important to them. This year the 20 members of the H&F Youth Council are focusing on mental health, discrimination, work experience, and a curriculum for life.